Mid-sized companies looking for an easy to use, flexible live chat solution with multiple features. 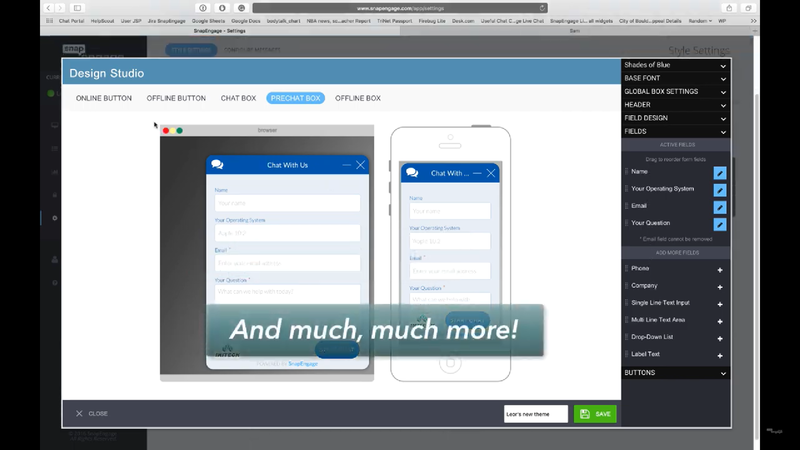 SnapEngage is a live chat software tool aimed at enterprise level businesses. SnapEngage have a focus on automating the live chat process to help you engage more customers and increase conversion rates. This means they have tried to simplify the integration process with bringing your CRM information into their platform. They also offer bot functionality so that customers can still have queries answered even when there are no agents online. SnapEngage offer their customers multiple live chat features. 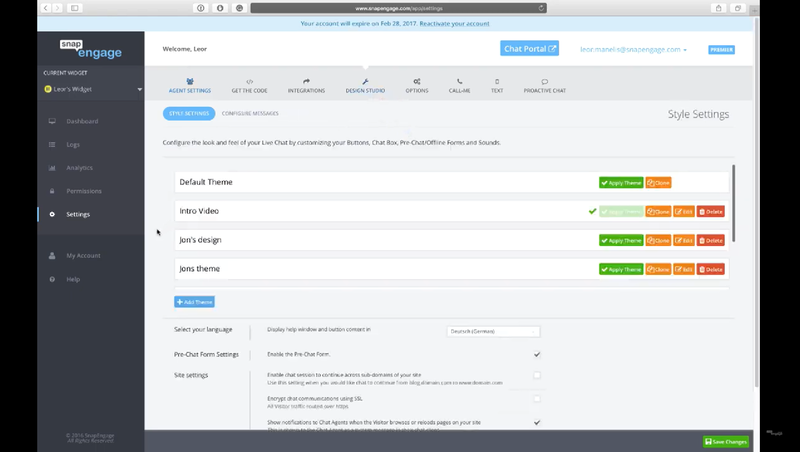 These include advanced reporting and analysis, multiple integrations and customizable designs. 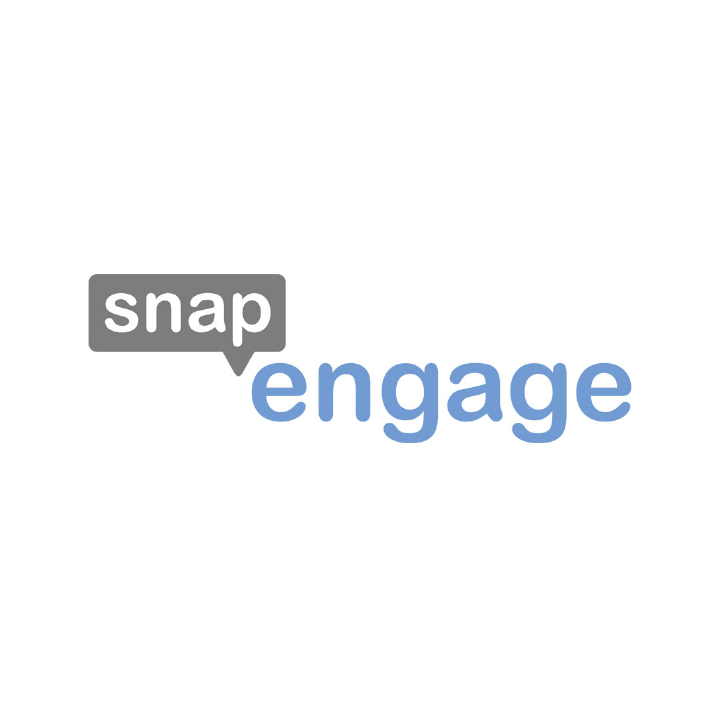 SnapEngage offer a live chat service which is very popular with customers. It’s not hard to see why, with a range of great features offered. Visitor tracking and analytics is comprehensive. You can view all aspects of the agent/customer relationship, including response times, agent availability and customer satisfaction. This is achieved by a customisable survey that will help you to better meet the needs of your customers. SnapEngage will also show you information about who your customers are, thanks to Google Analytics integration and its own visitor tracking. 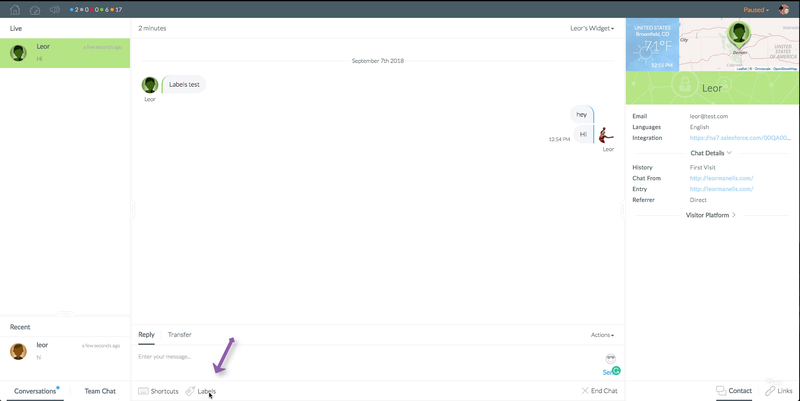 SnapEngage offer an easy to use Design Studio, which allows you to easily change the appearance of the chat window and modify what the conversation branches are when there are no available agents online. SnapEngage is a good option for small to midsized teams. They offer cost effective pricing and admin functionality which makes it easy to manage a number of agents. As discussed, there are a range of reports available to show how well agents are performing. There is also the option for agents to swap customers to a different team member during the chat, so that they can speak to the best person to answer their question. The simplicity and ease of use of the SnapEngage service makes it a good option for companies looking for a live chat solution to consider.